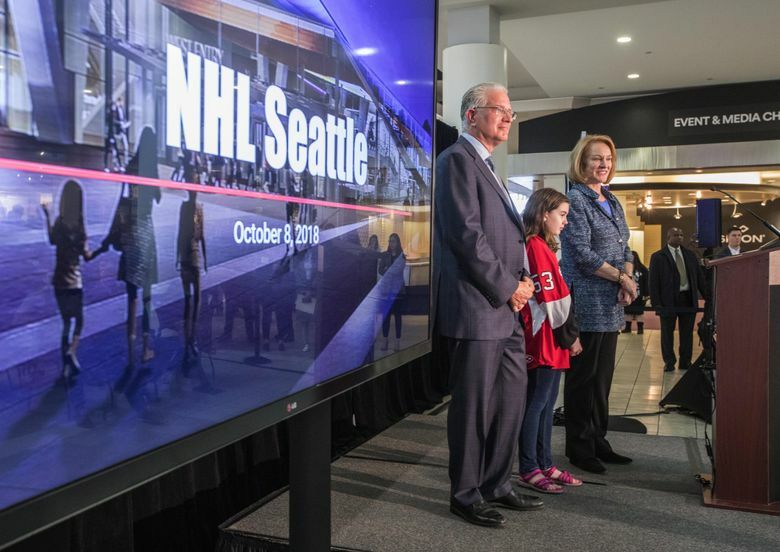 NHL Seattle announced plans Monday to build a 180,000-square-foot, three-rink facility at a soon-to-be-revamped Northgate Mall. The main practice rink will have seating and views for 1,000 fans. A planned three-rink, 180,000-square-foot practice facility and headquarters at Northgate Mall for the city’s expected NHL team is being touted as a game-changer for the sport in this region. Flanking the politicians and investors on hand at a Monday news conference at the mall announcing the facility, expected to cost more than $70 million in private funds, were representatives of several local amateur hockey federations. For them, the addition of three extra ice rinks available for public use in a region lacking enough to meet current demand is a boon they’ve long been waiting for. 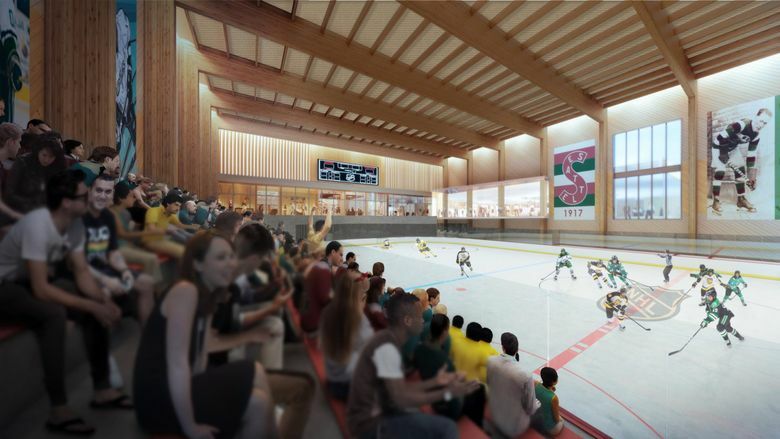 The main rink will contain seating and viewing for 1,000 fans, while the two others will have room for an additional 400. Beyond the expected NHL team using the main rink about four hours for daily practice, the new ice sheets will be used to stage tournaments and games by amateur hockey groups as well as figure-skating clubs and other ice events. 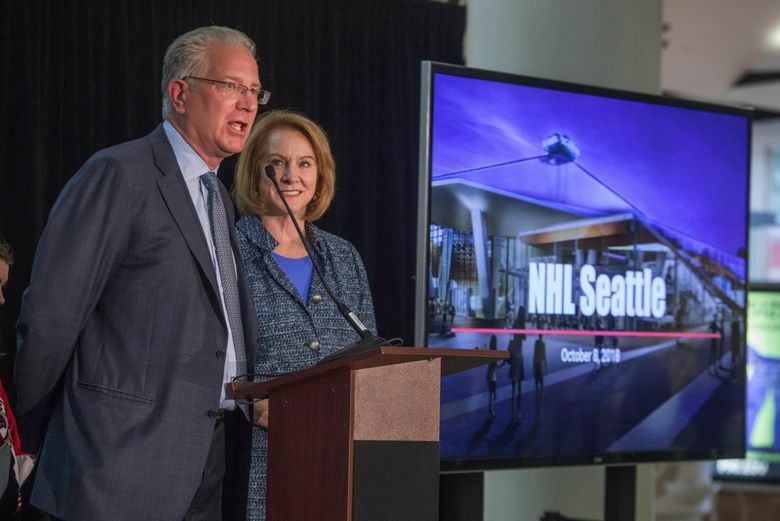 Leiweke said the new practice facility – dubbed the NHL Seattle Ice Center — is meant to serve as the incoming expansion team’s hub within the community when it isn’t playing games at a revamped KeyArena. He said renderings of the planned Northgate facility were shown the NHL’s executive committee last week in New York and he believes it was a big reason they voted 9-0 in favor of recommending the league’s board of governors award this city an expansion franchise. The board of governors will vote on doing just that at their next meetings Dec. 3-4 in Sea Island, Ga.
Leiweke hopes to have the facility up and running by October 2020, the date he’s targeted to have the franchise play its first games. Building a practice facility takes anywhere from 13 to 18 months and leaves NHL Seattle limited time to get through the permitting and design phases before demolition. 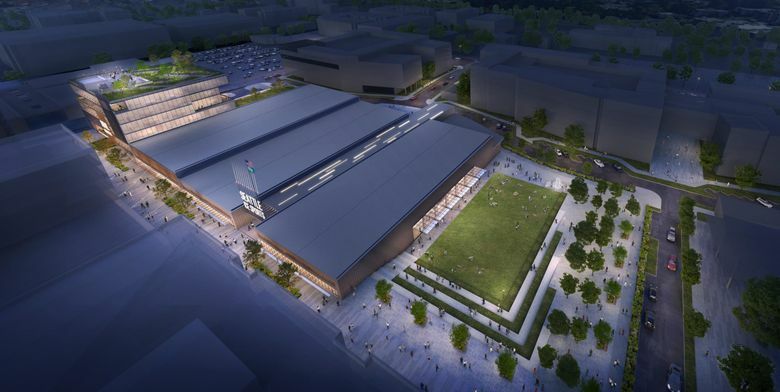 The facility is being designed by Generator Studio of Kansas City, among the world’s leading practice venue architects for pro hockey teams and currently working on a $68 million, four-ice-rink venue in St. Louis expected to be one of the best of its kind. 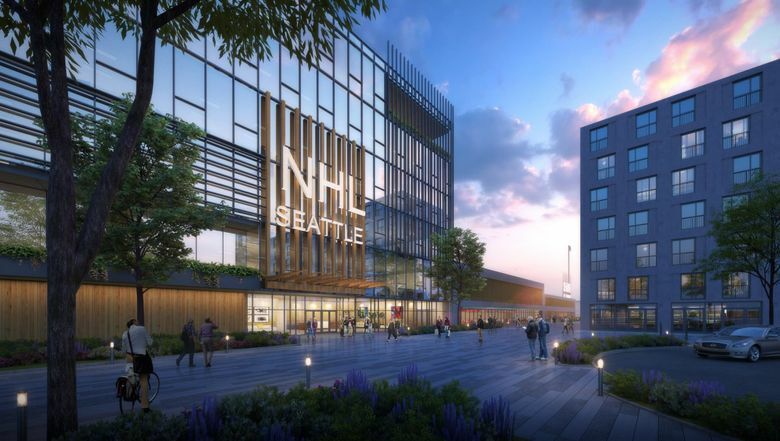 Once completed, the NHL Seattle facility would become the anchor tenant of a massive three-phase renovation being carried out to reshape the mall over a period of up to 15 years. Durkan also attended the NHL executive committee meeting last week and said plans for both KeyArena and the practice venue made a lasting impression on the league’s most powerful owners. An exact location within Northgate has yet to be decided, though planning has focused on the eastern part of the mall facing Fifth Avenue Northeast near the corner of 103rd Street Northeast. That would leave it within proximity of a planned new light-rail stop expected by 2021. At present, the envisioned practice facility space consists of vacant parking lots, with a three-story fitness center and potential residential and hotel units planned for that general vicinity in preliminary documents submitted to the city last spring and summer. Michael E. McCarty, chief operating officer for Simon Malls – which owns Northgate – said the fitness center remains in the plans, but some of the residential and hotel space would likely be used for the hockey venue. He hopes for demolition to begin by the middle of next year. Lance Lopes, project leader for NHL Seattle, said the new team could practice temporarily at KeyArena if need be. But the preference, he added, is to finish the new practice venue on time so everything is in its proper place when the new team arrives. Lopes said the facility is to have dropoff access from Fifth Avenue and contain eight locker rooms, skate shops, rentals, food and beverage facilities and a restaurant. The main rink where the team will practice will have seating and viewing capacity for up to 1,000 spectators – including from offices and a main plaza. It will also be used to hold training camps and public events. 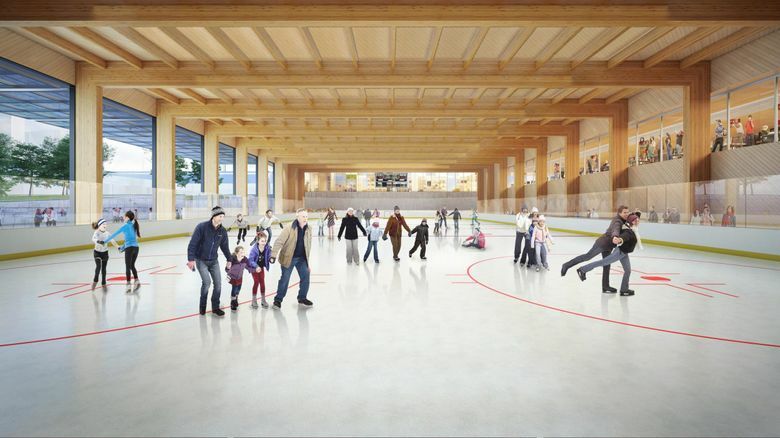 There will be two additional “community ice rinks” – one with outdoor access to a public park. They will focus primarily on youth and adult hockey as well as figure skating and other ice activities. Leiweke said he’s going to work closely with local hockey associations to figure out usage arrangements.